Sensing Shared Places: Designing a mobile audio streaming environment by Rui Chaves and Pedro Rebelo :: This paper addresses mobile audio streaming in the context of sharing a sense of place. This action is mediated by the network, the body and remote listening. These elements are essential in the concept and design of a platform for audio transmission ( liveshout ), that aims at intersecting mobility within the realms of radio, network and transmission art. 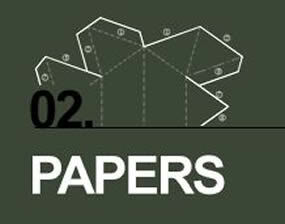 The paper is available for download here .